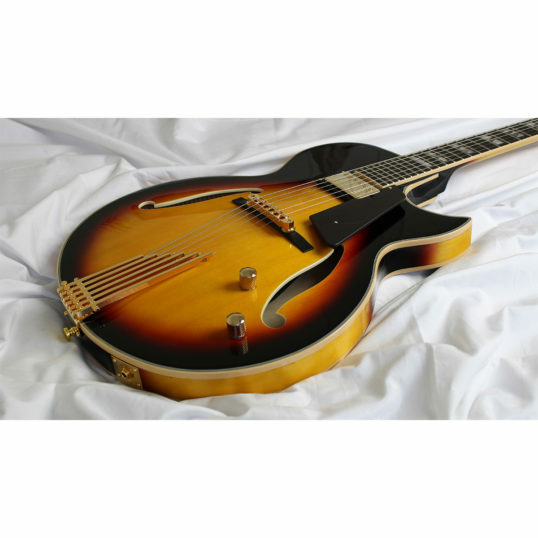 Making the transition from rock to jazz but don’t have a jazz axe? 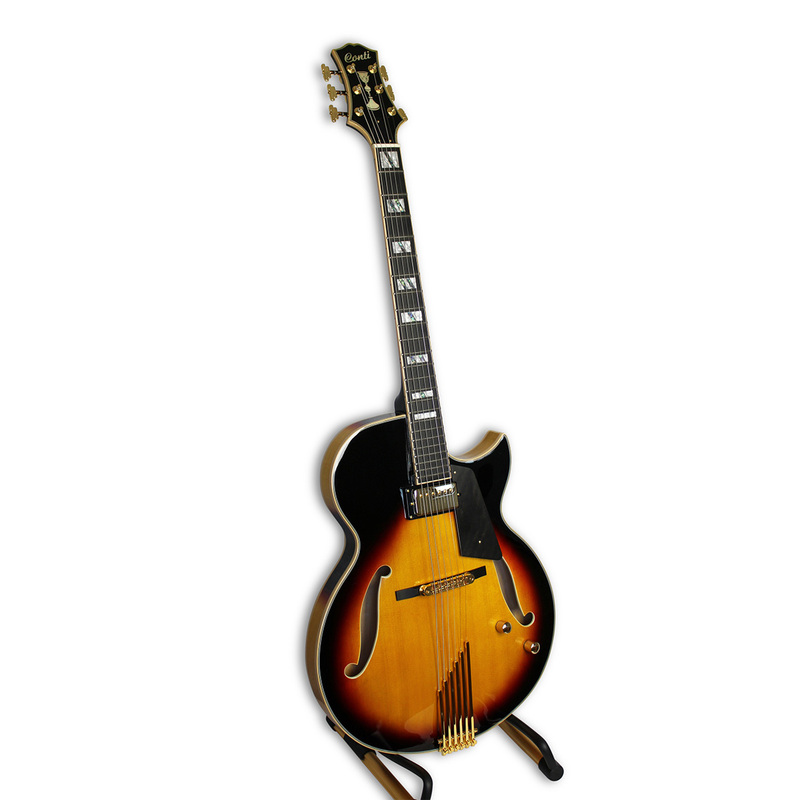 There’s no reason to settle for a stripped down archtop without any features. Meet the new Entrada. 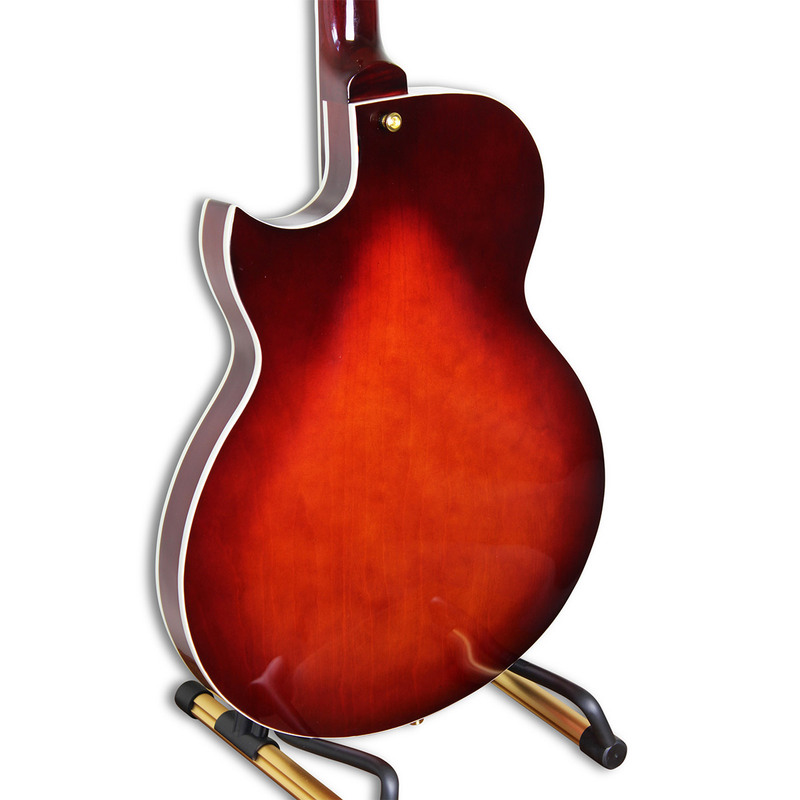 . .
For more detailed specs, photos, videos and owner comments from around the world, please visit our dedicated website for the Conti Guitar. 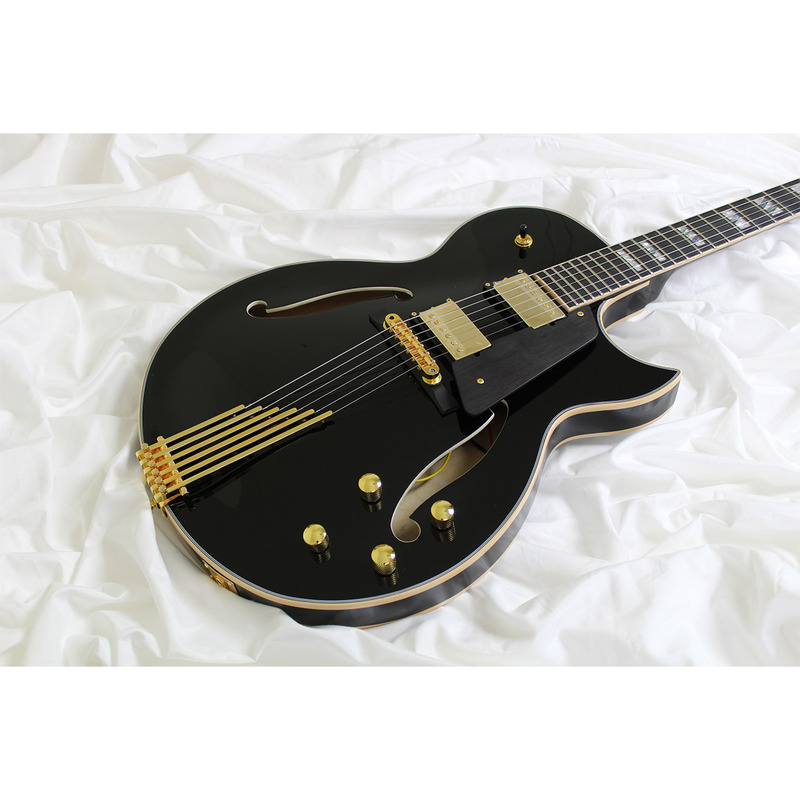 “I really love this new guitar, it is a dream to play, the ebony fret board is so smooth and the low action really helps me when playing some of the harder piano style voicings built in thirds. 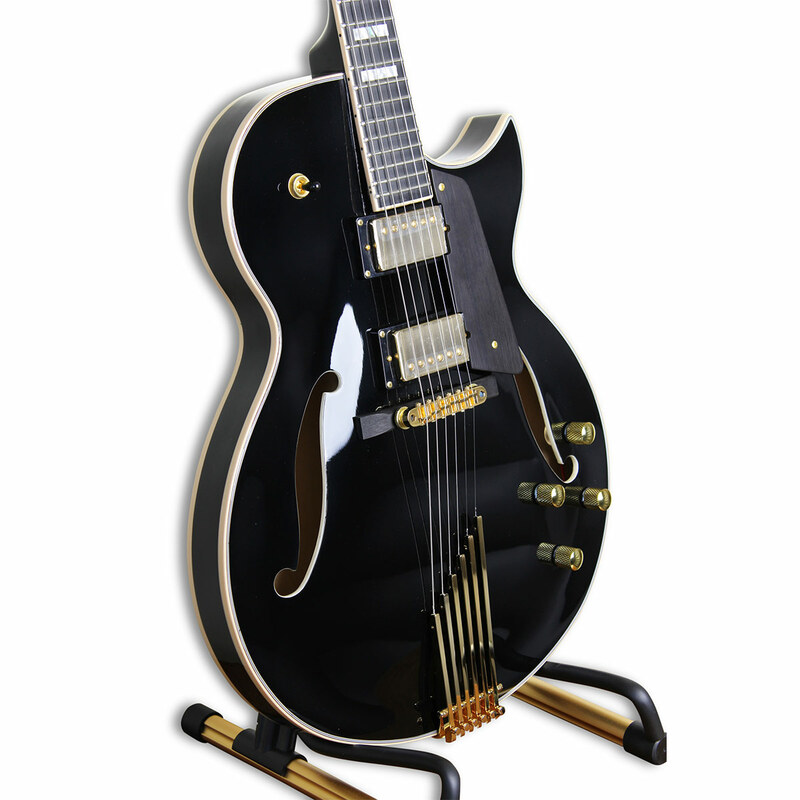 I love the gold hardware with the sunburst effect, combined with the dark ebony fret board, it looks so classy. I’m destined for beautiful jazz when playing this amazing Conti guitar. I took it to the local technician to adjust the action slightly due to a little bit of fret buzz, caused by the long journey here. When I collected it, we were right next to the beach so we took a photo of the guitar here in the middle of the English summer. I then put it back in the case, and went home. I have been playing this guitar, and ONLY this guitar ever since. I’ve had too many guitars in my lifetime but the Entrada I recently bought is outstanding. I love playing it and it has killer action with a beautiful jazz tone. Does not rattle anywhere which is unusual. 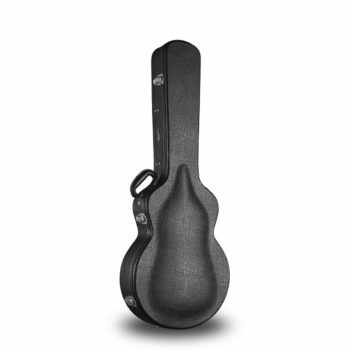 It is very acoustically live unplugged and has a killer tone through my AER. The thin body is very comfortable to hold sitting or standing and is lightweight. I must thank Bob and his staff for excellent service. I really love this guitar. Thanks again. mahalo! 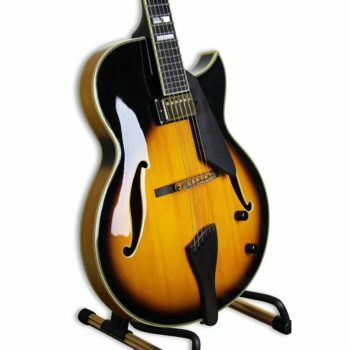 I recently purchased a Conti Entrada and have received nothing but compliments on the guitar. I play it out every weekend and it always meets and exceeds my expectations. Received the Entrada and I’m very pleased! Just received a new “bud” amp by Henriksen. I think I have the perfect combination of guitar and amp. 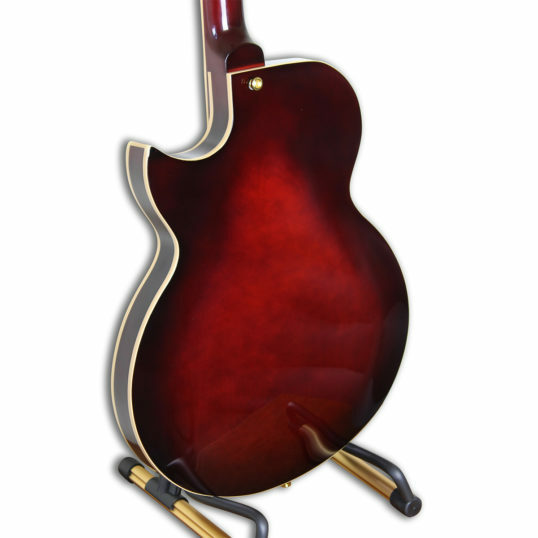 Within a few days, I should be able to knock out a couple tunes to highlight the quality of the Conti guitar. The Entrada has EXCEEDED my expectations. The setup was done just the way I like. Over the years, I have used a Super V by Gibson, ES335, ES175, D’Angelico, Yamaha AE1200S and a Heritage American Eagle. 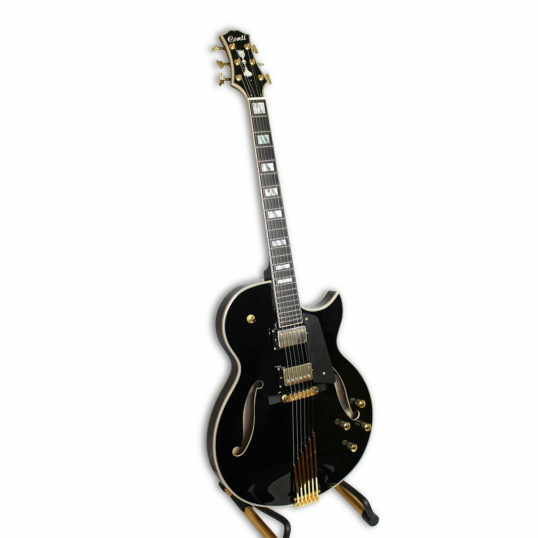 The Conti is now my go-to guitar for a variety of musical styles and performance groups. The big-band I play in won’t get together until next month but I am confident it will fill the bill. Thanks much for the accommodation. Thanks again and best regards to you and Robert for producing a very fine product. 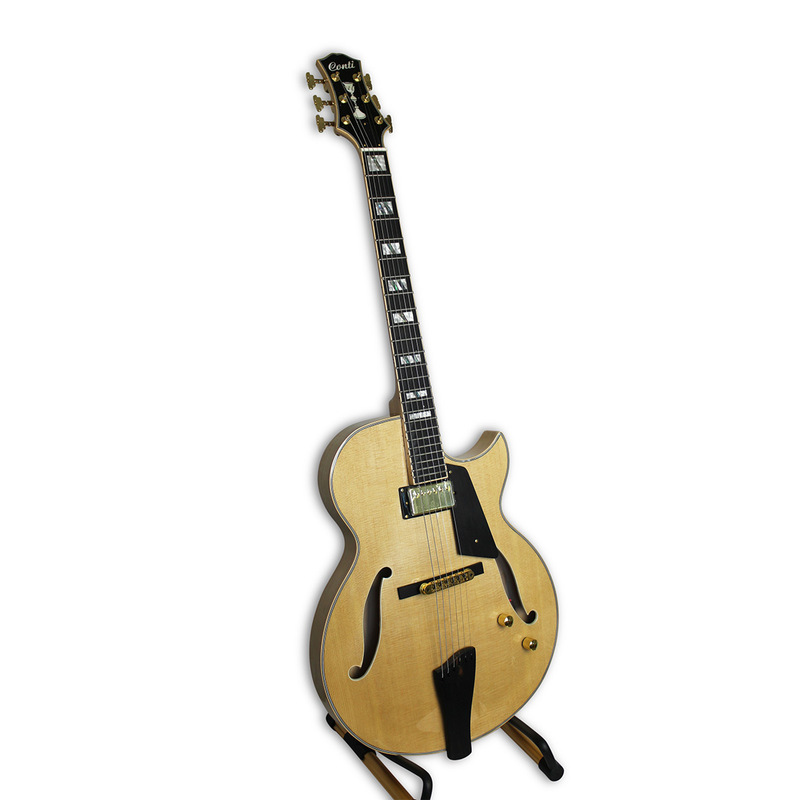 When my guitar arrived, it was extremely well-packed and arrived on time. 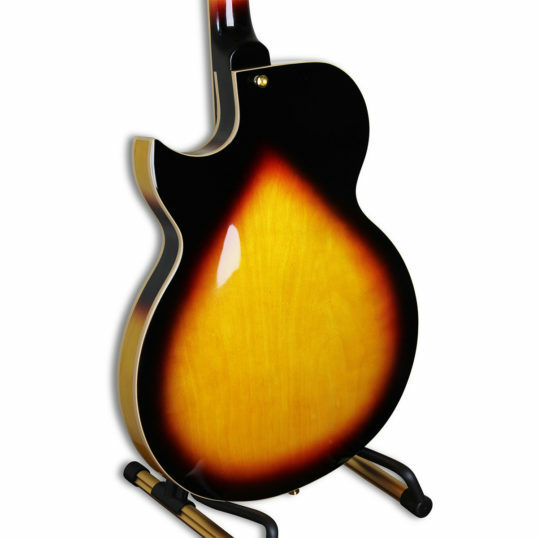 The first thing I noticed when I opened the case—after the amazing color and finish top—was that the guitar was set up perfectly. The body vibrated and provided good resonance and sustain even unplugged. These are really great guitars, especially considering how affordable they are. 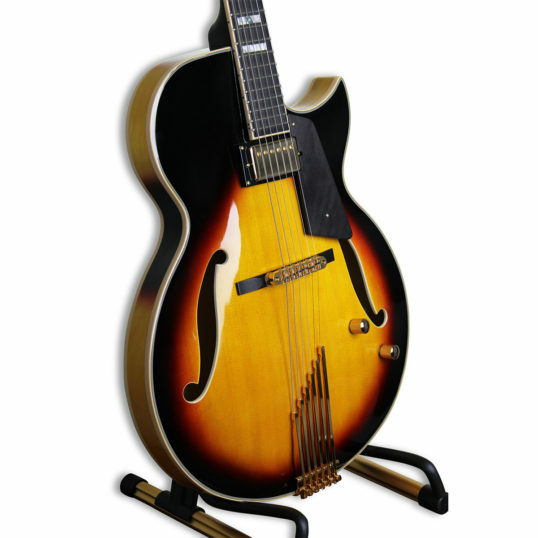 When I played uninterrupted for an hour I didn’t experience any of the fret-hand fatigue I often encounter on a this kind of archtop. Excellent playability and sound, by the way I’ve received a specialized video made for me about the guitar and how it plays -now that’s what I call excellent customer service. I have owned many guitars, some 10 times more than what I paid for this guitar, but this one is a very special guitar, looking forward to take it on the road and studio. 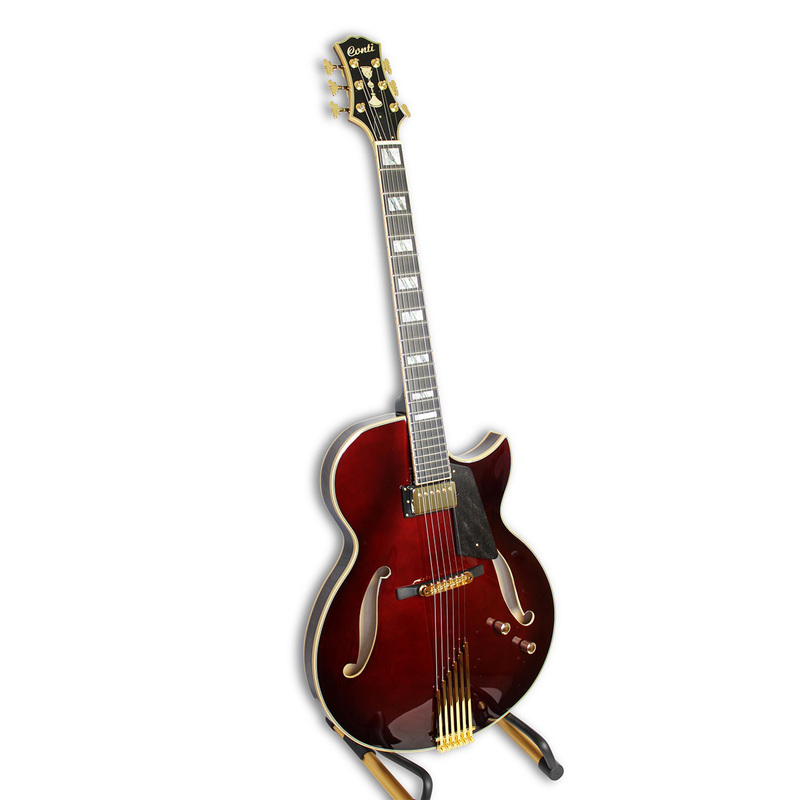 Plays like a dream, and has a rich, complex sound that will satisfy any jazz purist. Best of all, with a price tag very easy to afford , it’s a value that’s nearly impossible to beat. Thanks again Robert Conti!